The Runaways will be the first Marvel show on the TV streaming service Hulu. Multiple hit Marvel shows have already been released on Hulu's competitor Netflix. The Runaways is not the most widely known property but is cultishly followed by fans. The comic series began in 2001 with the Brian K. Vaughan series titled Runaways. The comic had only a mild following but gained significant steam in the Trade Paper Back market where it made many fans. Marvel has since released multiple new volumes to the original series. The show will be produced by Josh Schwartz and Stephanie Savage. 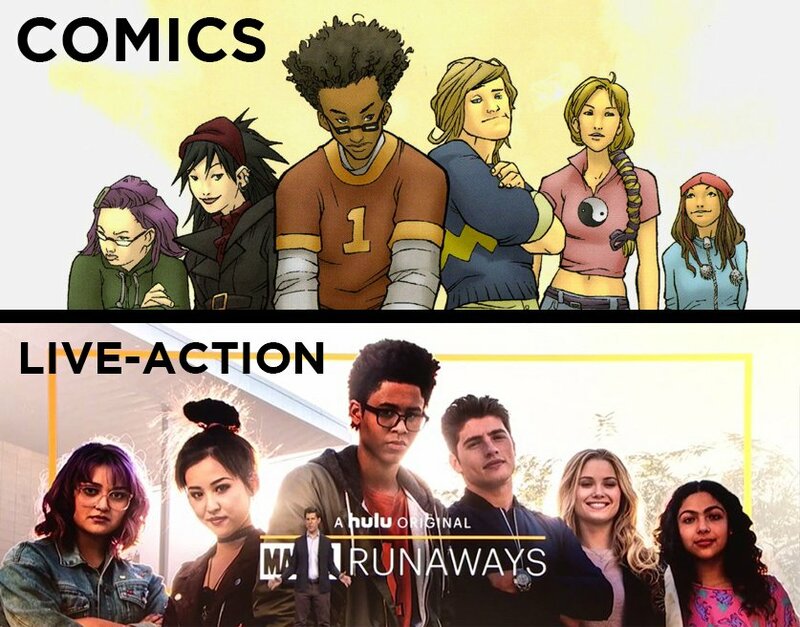 Shwartz was quoted in an interview with Deadline saying, "I’m a long-time fan of Runaways and couldn’t be more excited to bring Brian and Adrian’s characters to life." Schwartz and Savage had previously worked together on the show Gossip Girl. The story of the Runaways follows a diverse group of teenagers who are forced to flee their parents after they learn they are super villains. Opposing their parents they learn that each possesses a type of super power. Every teenager thinks their parents are evil, what if yours actually were? Klara Prast - time displaced mutant can communicate with plants. One of the parents of Niko Minoru was shown in the Doctor Strange Prequel comic. This effectively links the show Runaways to Doctor Strange. She does not appear villainous in this iteration as she is confronting Kaecilius (the villain of Doctor Strange) over the spell he wishes to cast. Not Familiar with the Runaways? here is a fast rundown of who they are.